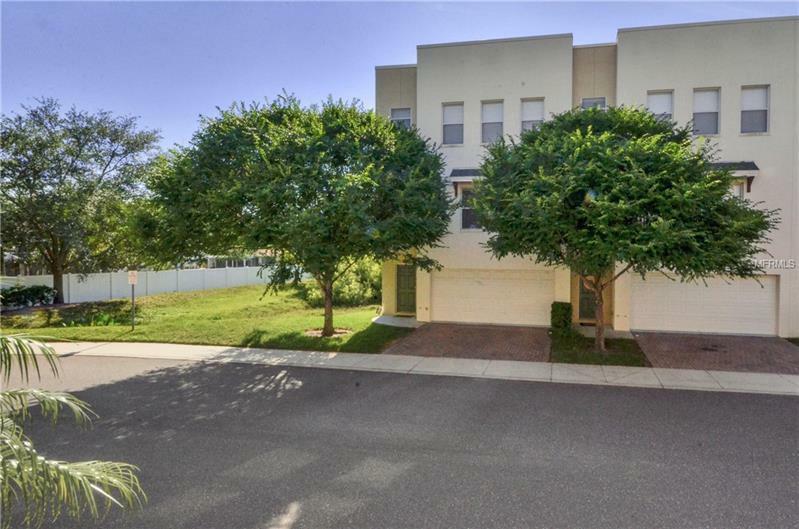 Spacious Newer Concrete Block South Tampa Town home - Lots of light throughout and upgrades! Views of conservation / retention area! This residence has upgraded flooring, ceiling fans, kitchen back splash, and designer paint throughout. First floor area has bedroom suite and 2 car garage. The 2nd floor is long and open living space, open to the kitchen, French doors access a balcony overlooking pond with sunset views. The kitchen has stainless steel appliances, granite counter tops pantry and breakfast bar, lots of cabinet space, 42" uppers, and more. You will enjoy the high ceilings, and use of space. 3rd floor has large and private master and junior master separate suites with a hallway dividing. Washer Dryer and blinds included and garage floor has new texture epoxy finish. Legacy Park is South Tampa's lifestyle living destination! Across from WCI Westshore Yacht Club, Hula Bay, And More!